You probably all know at this stage that I’m a big fan of learning through your knitting. When Jen asked me to be a part of her new book, Boost Your Knitting, I jumped at the chance. The first book was wonderful; several different designers created a small to medium size design that featured a particular technique. On the month that the pattern was released they also released a high quality video demonstrating the technique. This in fact is how I first learned about helical stripes which I adore for alternating hand dyed yarns in the round! 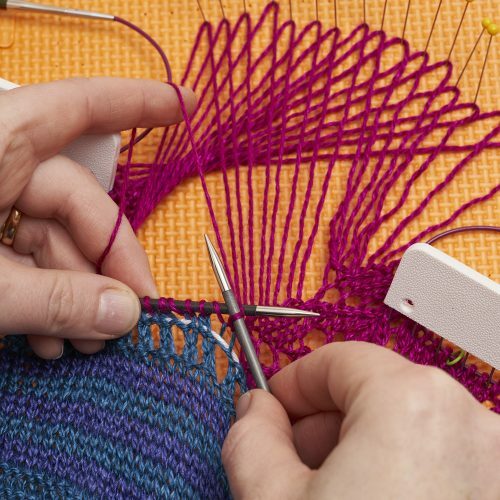 Now if you need to ‘do’ a project to really get to grips with it they’ve also got knitalongs running in the Arnall-Culliford Knitwear Ravelry group. They are run every month to support the book pattern that is released that month. So here’s a few peeks of the techniques that will be coming along this year…. 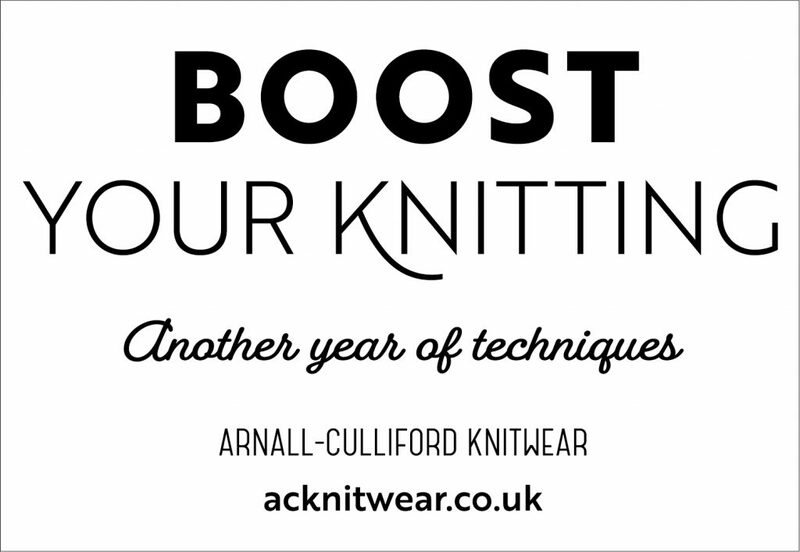 Boost Your Knitting is a programme to teach you new skills in your knitting. It covers twelve new techniques, with twelve patterns from twelve fabulous designers, twelve sets of photo and video tutorials, and most importantly, twelve opportunities for knitters to experience the joy of learning something new! Each project is small enough to be completed within a month, but also makes a beautiful item (think hats, socks, shawls and so on). Every month there will be a knitalong for that technique over in the Arnall-Culliford Knitwear Ravelry group. 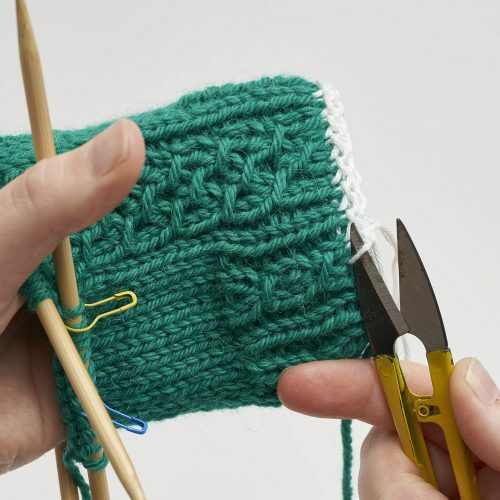 Boost Your Knitting includes the digital patterns and photo tutorials delivered monthly as well as a print copy of the book shipped worldwide in September 2019. It costs £30.00 and this includes worldwide shipping. We also have a Spring Kit available that includes all the yarn for the first three months’ worth of patterns. Kits for Summer, Autumn and Winter will become available later in the year. And there’s an Ultimate package that gives you the digital patterns and tutorials, print book and all four seasonal kits. Full details and pricing can be found on our website or via my profile on Instagram. Now I can’t tell you what topic I’m going to be covering but you if you pop over to their website you will see the full list of topics that are going to be covered and you can have a guess! I really enjoyed ACK’s first book and the video tutorials were excellent. I’ve finally figured out the pinhole cast-on!! I’ve put in my order for Boost Your Knitting and can’t wait to learn a tubular cast-on! I have signed up for this series as I love all the series they have put together. I was delighted to see you have a technique in there.